Herman the Helper by Robert Kraus – Herman the Helper is about an octopus that loves to help others as well as helping himself! The book includes simple illustrations and simple text on the pages which makes it great for toddlers! 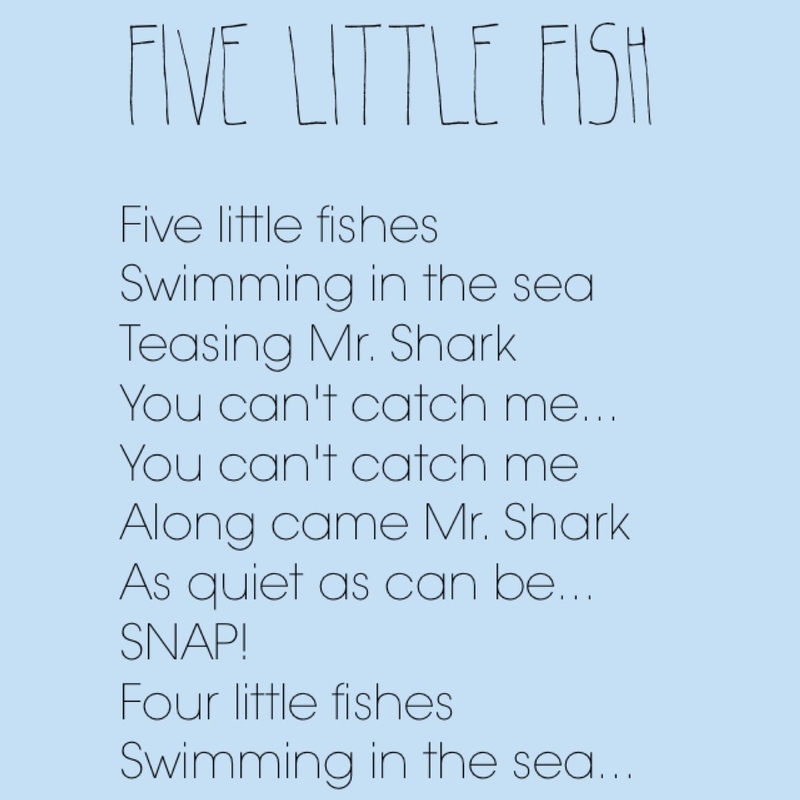 Five little fish is a fun finger play song that I used to love doing with my Kindergarten and Grade 1 students. Line 1: Hold up five fingers on your left hand to represent the five fish. Line 2: Wiggle your fingers. Line 3 & 4: Wag your right index finger. Line 5: Slowly bring right hand towards left fingers. Line 6: Put right index finger on lips. Line 8: Start again with four fingers. Repeat until no fingers remain. 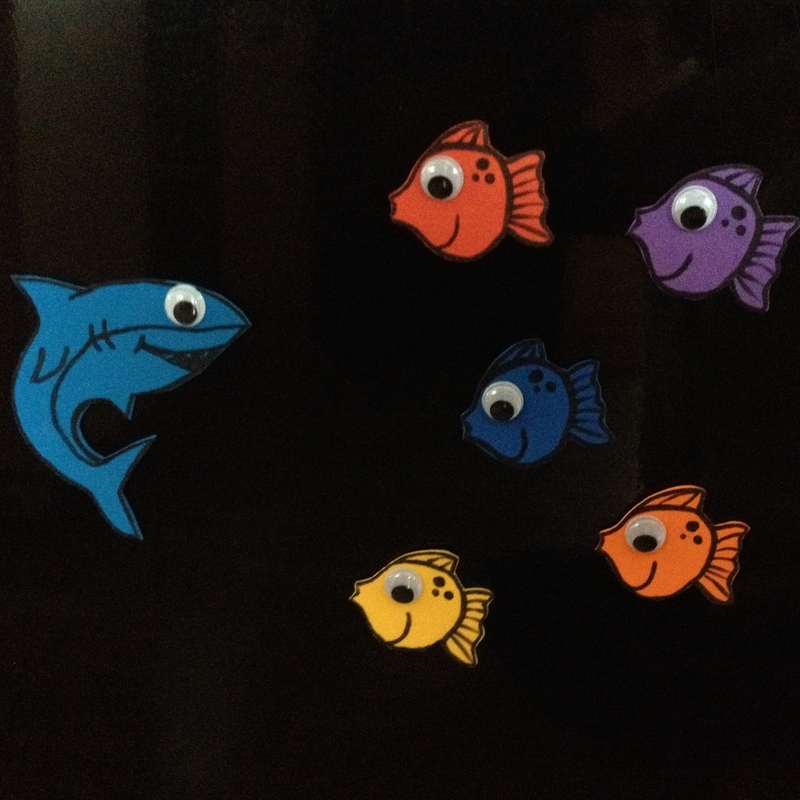 I made foam magnets to go along with the poem. The child can remove one fish at a time as the poem is read. a. Have the child make his/her own foam pieces for this poem. b. Have the child teach this poem to another child or adult. I made sea creatures to go along with one of R’s favourite songs. The song is Octopus (Slippery Fish) by Charlotte Diamond. In the song, sea creatures get gobbled up by other bigger sea creatures. The octopus eats the fish, the tuna fish eats the octopus, the shark eats the tuna fish and the whale eat the shark. This is a fun way to add puppet play with a song and to also practice fine motor skills as the child learns to open and close the clothes pegs. a. Have the child make his/her own sea creatures to go along with this song. b. 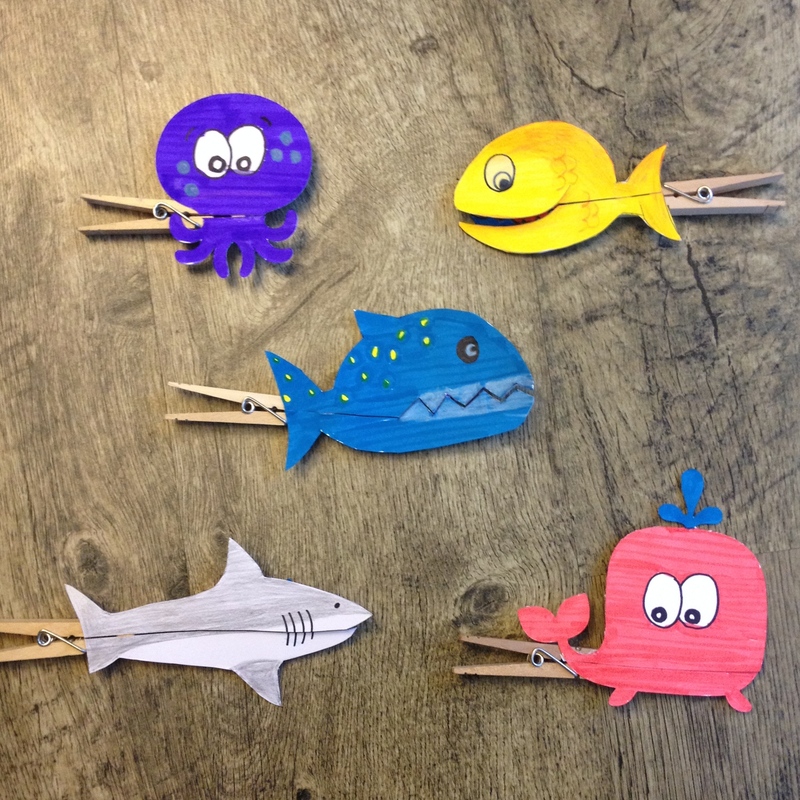 Use the clothes peg creatures as inspirations for doing some creative writing. I am so happy I have come upon your blog!!! 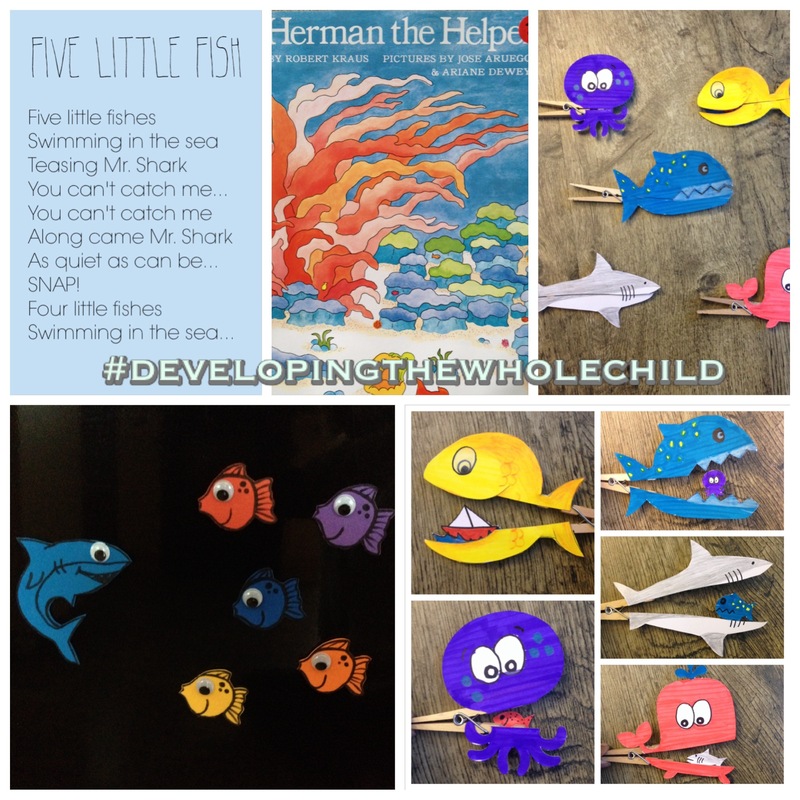 I LOVE the slippery fish idea… The song is a staple in each and every one of our days!!! Thank you, glad you found us and welcome!! Hope to share ideas with you!! The song is definitely a staple for us as well! Hi Raman, I would love to include this post in an Ocean roundup I am putting together for this Thursday (I know, kind of late notice sorry)… If you have a second, please let me know if it would be okay to use it. I would include a photo and a link to your post for directions. I love both of these songs! The photos that you posted are great. Thanks for sharing! 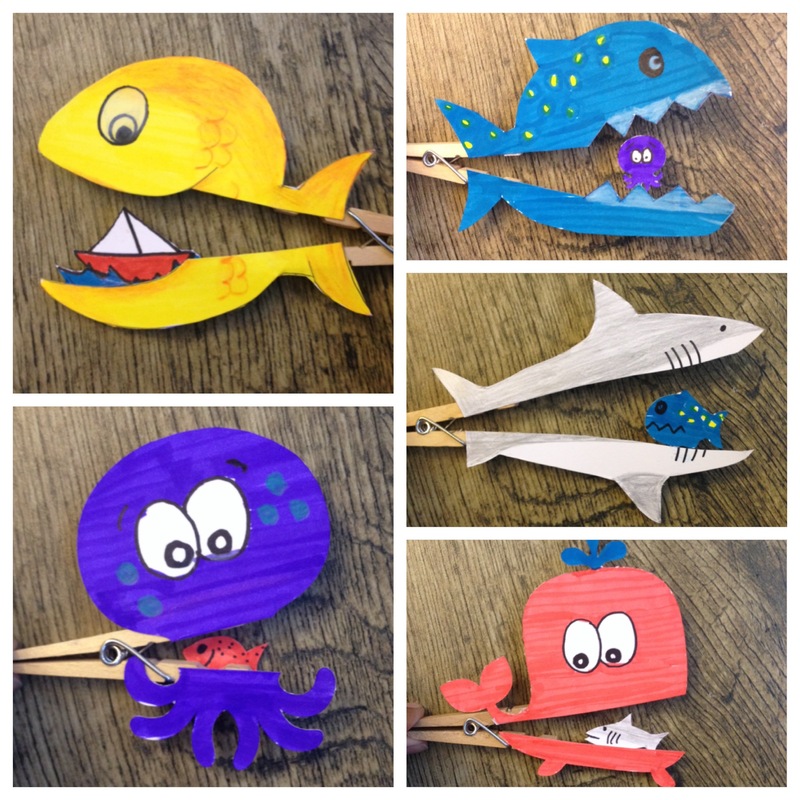 Can you share the template for the snapping slippery fish pattern? Please I love them and used to have them and need them for a training. Unfortunately, there isn’t a template. I had drawn them all by hand! So sorry!